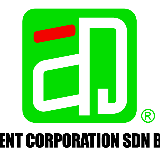 Aident Corporation (KL) has always strives to give our best. We are the proud recipient of numerous international awards and recognition, both from customers and certification organizations. We are the first converter in Malaysia to obtain all three Management Certifications ISO 9001 in 2000, up-grade ISO 9001:2000 in 2004, ISO 9001:2008 in 2015, and ISO **** in 2000, ISO ****:2015 in 2018. We are also Canadian Standard Association (CSA) and the Underwriter Laboratories (UL) approved label converter for selected label systems. Aident Corporation (KL) is dedicated to deliver the best products and services. We are always improving towards a new era, beyond boundaries History Aident HQ was established in May 1994 in Penang where we had the humble beginnings of a simple manufacturing facility. After four years of uncompromising quality product and superior customer service, Aident made its mark both in the local and overseas market with the establishment of manufacturing facility in Selangor in 1998. Our products range grew to cover adhesive and non-adhesive label and stickers, nameplates and more. Today, our main manufacturing plants are equipped with state-of the- art facilities in working towards our vision to become the household name for this industry the benchmark of innovation and excellence, yesterday, today and the future Product & Services Since its inception,Aident has been the distinguished supplier of quality products to multinational and local companies specializing mainly in electronics and telecommunication worldwide. For more than a decade, our product have fulfilled customers' requirement and have met expected standards. We specialize in adhesive and non-adhesive label, stickers printing, silk-screening, nameplates, die-cut rubber products and thermal pads besides die-cut tapes and insulating films along with thermal transfer printing solutions. "We are the Preferred Converter & Employer"